Sky Sports pundit Phil Babb has tipped Spanish heavyweights Barcelona and Real Madrid to hunt the capture of Liverpool’s Sadio Mane after his dazzling form this season. The Senegal international has netted 21 goals in 42 appearances for the Reds across all competitions so far, adding to his tally with a well taken header against Chelsea on Sunday. Suggesting that the 27-year-old would have been frustrated by Mo Salah’s arrival last season, Babb insisted that he had stepped up to the challenge and his performances could see him at the heart of a transfer hunt. Asked if he was world class, he told Sky Sports’ Football Centre (15/04, 10:25) he said: “On his day, unplayable. I felt that his nose was pushed out of joint when Mo Salah joined the club, obviously Mane had to play on the left hand side to accommodate him on the right. Mane might well have been unhappy about having to take up a new and unfamiliar role simply to get Salah into the side but the partnership the duo have created alongside Roberto Firmino surely means they are all loving their football. The Senegalese star has flourished out wide and shown that he is able to step up to the plate when his fellow forwards have perhaps not been firing on all cylinders. If Liverpool do end up winning the Premier League title, there will be few who will argue Mane’s performances have been absolutely massive in their success. Unfortunately, Babb is probably right about other clubs taking an interest in his signing. 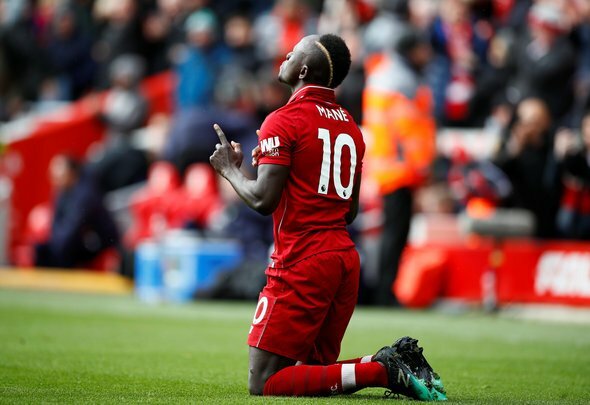 Either Barcelona or Real Madrid would love to have a player like Mane, with his exceptional work ethic and cutting edge up front on their books and do not be surprised to see speculation build over a potential exit this summer.